We are proud to have such a strong group of military veterans serving in our franchise community. Mosquito Joe, our mosquito control franchise, has about 15-20% of its franchisees who are military veterans. Mosquito Joe, a franchising company with headquarters based in the military-heavy Hampton Roads area, supports our veterans, including members of our corporate team and franchisees. To show our appreciation, we offer a $2,500 discount off of the franchise fee for franchise buyers who are veterans. Chief Operating Officer of Buzz Franchise Brands Brian Garrison, who served in the United States Navy for 22 years, believes that vets are attracted to the brand’s culture. “We feel vets bring the right set of experiences and work ethic to our business,” Garrison says. “Veterans coming through the pipeline look at the other vets in our system, and it resonates with them. Our team has close to 100 years of franchise support experience. We can look veterans in the eye and say, ‘We understand that you don’t have any experience in the private sector. 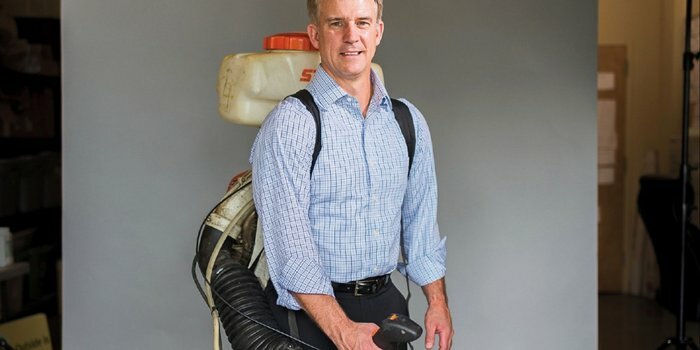 But we can be a backstop for you as you make the transition.’” Brian was the command of an F18 squadron, and while we are thankful to have him as part of the Buzz Franchise Brands family, we are also incredibly grateful for the service he and our veteran franchisees have given to our country. We are proud to have such a strong and dedicated group of people in our Mosquito Joe family, not only for the incredible work that they provide, but for the years of service and sacrifice that they’ve put in for this amazing country. Read more about companies around the country that are dedicated to hiring veterans.